Our gingerbread house on the light table was a recycled cake box from the kids' birthday party! 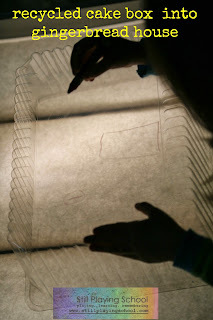 I look at everything before we recycle it now to see how we can use it in crafting or play. We also discovered one of the best light table play tricks we've used so far! E wanted to decorate gingerbread men for the house. 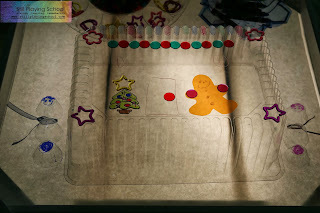 I cut the gingerbread men from (super affordable!) orange transparent binder dividers. We used dry erase crayons to draw on the details. We could erase and draw again. 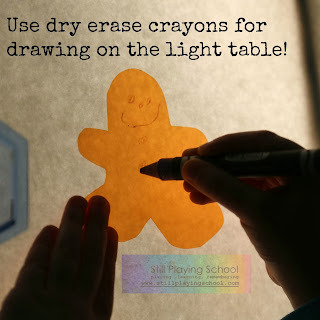 If the crayons got on the table, they'd wipe right off too! 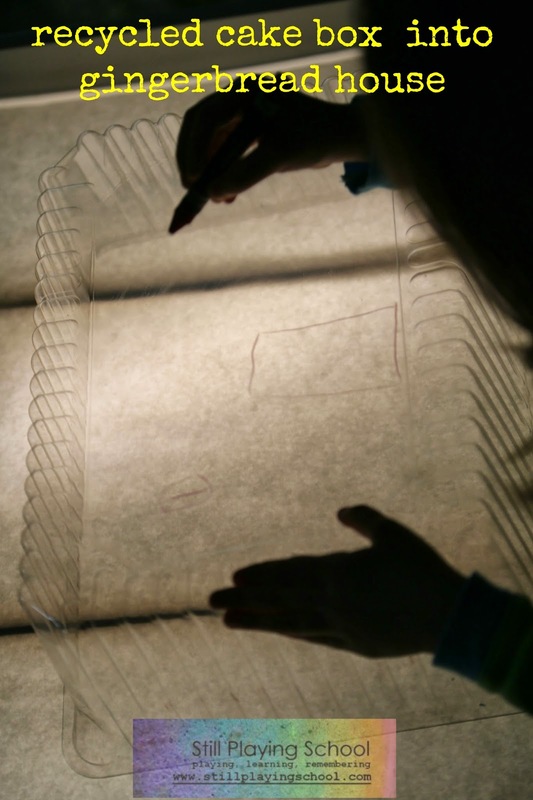 We'll definitely be using the dry erase crayons on the light table more often. 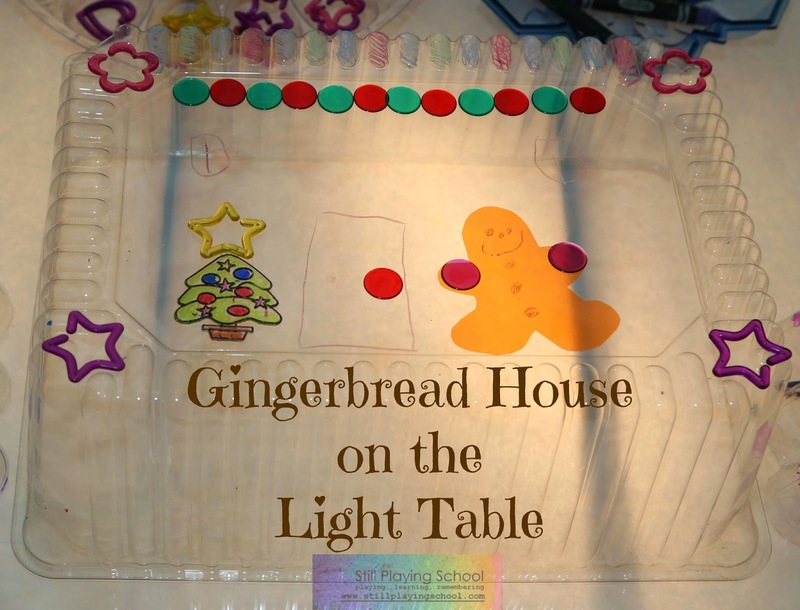 Together we decorated the gingerbread house into a whole winter scene including our egg carton snowmen and Christmas sun catchers.